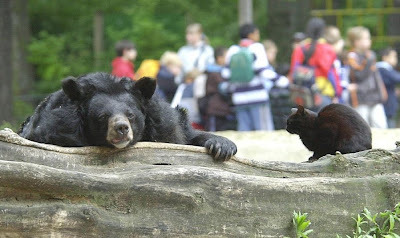 Meet furry friends Mausi and Muschi – the cat and the bear who are a zoo’s odd couple. 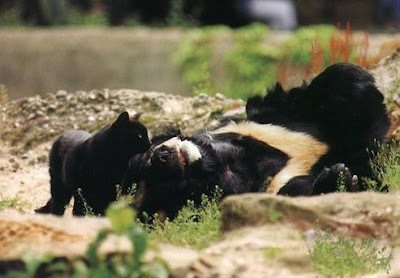 The female moggy and the male Asian black bear live, eat, sleep and even play together. Their unlikely friendship was forged seven years ago when Mausi entered Muschi’s enclosure at Germany’s Berlin Zoo and started to eat his food.